Quesnel and Stikine terranes in central British Columbia host Late Triassic to Early Jurassic arcs that are highly-prospective hosts for porphyry copper deposits. However, exploration success in this area is limited due to thin, but extensive veneers of till and related glacial sediments that cover much of the area. 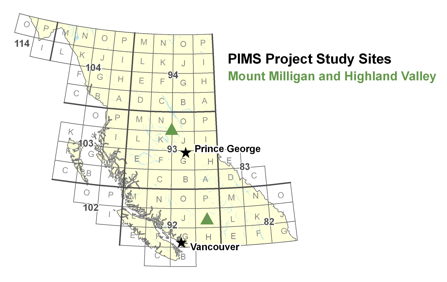 QUEST and QUEST-West are examples of projects that have provided a significant amount of new geochemical and geophysical data that warrant follow-up exploration efforts. We suggest that glacial materials may best host evidence of concealed deposits.